To access the complete smallholder engagement platform, please register below. Once registered, you will receive an email confirmation. With guidance from RSPO, Suhaili, a smallholder farmer from Jambi Province, Indonesia, went beyond simply applying best practices to his palm oil plantation, to initiating a river conservation programme that has benefited other farmers in his village. Learn more about how RSPO Credits inspired Suhaili to lead a river conservation programme in this video. When Suhaili, a smallholder farmer in the Jambi Province of Indonesia, was introduced to RSPO in 2014, his expectations about certification were exceeded. In addition to learning best management practices and being able to expand his palm oil plantation, Suhaili developed a river conservation programme, which benefits his plantation and the local village. He explained that he felt proud to not only just be harvesting crops, but also to be helping improve the environment. 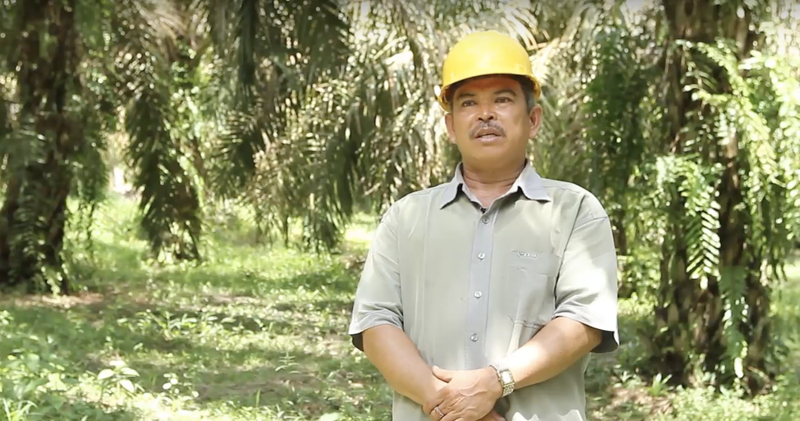 To learn more about how RSPO Credits inspired Suhaili to lead a river conservation programme in his village, watch the video below.